Where and what is Manildra? 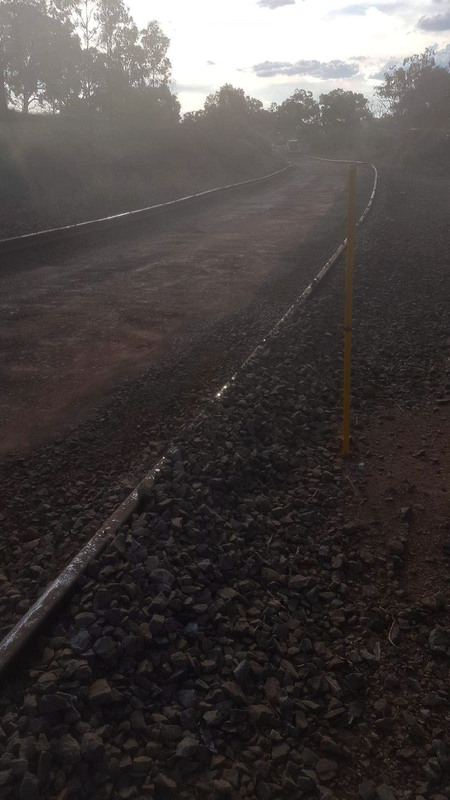 This week our team are based in Manildra a small town in central NSW, to provide a 24 hour survey and support to John Holland Rail. With a population of 464 people, and one of the largest wheat producing areas, Manildra need the experts to ensure their rail is spot on and ready to work. 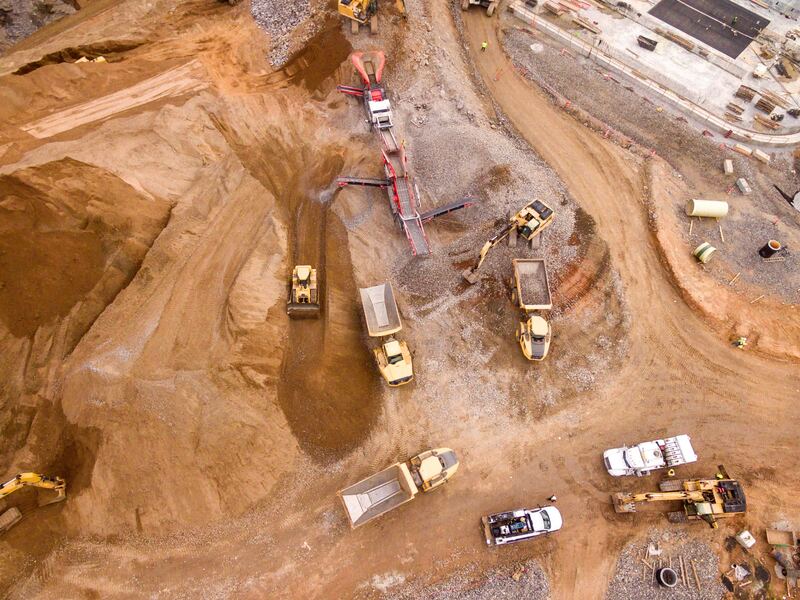 We are reviewing 1800m of formation reconstruction, ballast and rail replacement at a spot about 50kms out of Orange NSW. To many the 1800mtrs doesn't sound like a lot, but it is an integral part of a high use rail line. Hanlons surveyors provide height and position of the topography and line. We also undertake conformance surveys to make sure the track complies with the design and legislation. The design for this project was completed by Hanlons just over 2 years ago! 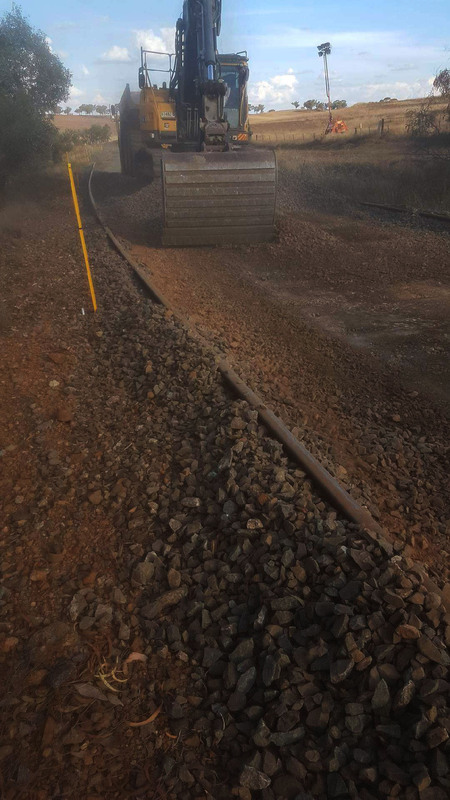 After the track and ballast is removed, the cutting or embankment formation is reshaped prior to placing new ballast, new concrete sleepers and heavier rated rail. This will be a project done in collaboration with John Holland. We like to think Hanlons speaks the language of the rail industry. We plan, design and engineer rail lines and provide a full range of services for the industry. Our project teams include experienced engineers and surveyors. We train our staff to understand the challenges of rail projects, so we can develop solutions focused on improving the operation. The Hanlon re-brand is featured on page 27 of this month’s edition of The Surveyor. Thanks to the team at KEO for helping us on the journey. 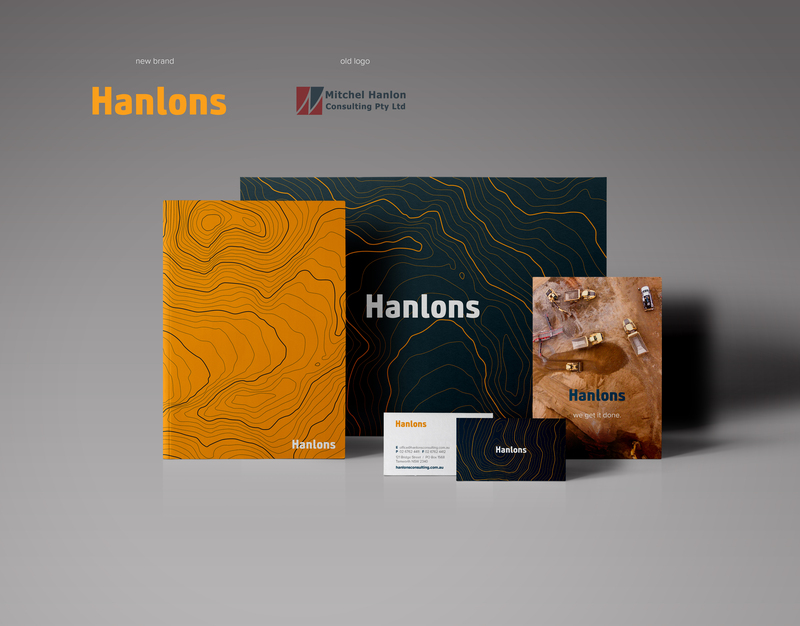 Hanlons previously known as Mitch Hanlon Consulting based in Tamworth NSW, has an existing National client base and a brand that needed to stay relevant to the changing economic and internal business culture. We have worked hard on our internal processes, and wanted to ensure that these were reflected out into the wider community. We have a 15 year history in the regional surveying and engineering industry, we needed to be sympathetic our existing reputation and brand, but move forward into the future. After a winding process, many conversations and workshops with the experts, it lead to a redefined purpose, refined name, a bold and dynamic identity; with an internal and external message unique to both. Hanlons, as a company, are reaching new areas with an adaption to modern day life without loosing our long standing brand history. Our new branding and strategic position allows marketing to penetrate deeper across numerous areas. Whether it be tender writing, presentations or social media, our new brand has become identifiable and easily recognised. We are excited to move forward into our new future. Our very own Mitch Hanlon, Managing Director of Hanlons, has written a very thought provoking article in The Surveyor on page 20 of the December Edition. Mitch brings to light the importance of building networks based on knowledge, guidence and governement for the future of Railway Surveying and Track Design. Hanlons have joined forces with like minded surveyors accross australia to form the Railway Surveying Working Group to focus on what lies ahead for the rail industry. Have a read, have a think, make a comment. We want to know your thoughts.